Pinterest is an elite online photo sharing website, designed for people to organize and share all the things they love on a virtual pinning board. 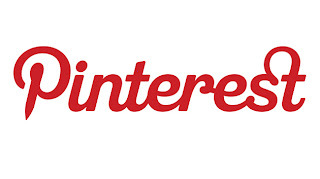 Once you join Pinterest, you have access to millions of “pins,” the images that have been posted by a user. People use Pinterest for a number of different reasons. Some are looking to collect delicious recipes, share their favorite books, movies, music, quotes, and get great ideas for a new hairstyle or DIY project. However, one of the most common uses of Pinterest a virtual kind of window shopping. Users seek images on the web or use their own digital photographs of clothes, furniture, art, jewelry, technology, etc. that they would love to own. Then, others who share the same passion for their style ideas can “like” the image or “re-pin” it onto their own board with the simple click of a button. Instantly, a limitless amount of images are available to millions of potential clients. A Sneezer’s Dream Come True! So, what makes this important to manufacturers’ and sellers’ marketing strategies? First off, it’s free publicity. It wouldn’t cost a thing, but someone’s time, to open up a Pinterest account for the manufacturer/store; or simply install Pinterest’s “Pin-it!” button on an already existing website. This way, sneezers can easily share products with everyone they know. Yeah, remember what sneezers are? Sneezers are people that live to recommend your products to others? Pinterest is full of them! Manufacturers and stores also need to be involved to maintain their branding. So many images on Pinterest have no link back to their original websites, no logos, and no pricing. The more the original supplier and/or original users of these images are involved, the more likely an image will lead back to its brand. In addition, with a Pinterest account, a manufacturer or store can track the amount of times the image of a particular item is “re-pinned” by users. This could be a great way to tell what people are actually interested in or at least dreaming about buying. Another key point to make about Pinterest’s marketing abilities is that it’s not so much about making a sale as it is getting the look or style out there. Pinterest is about building inspiration, promoting new trends, getting a look at what’s in right now. Sales may come when a really interested “Pinner” clicks on the image to be instantly transported to the seller’s website, but only if someone makes sure they can get there! This blog post was contributed by Aubrie Parth. Connect with Aubrie on Google+. Where will SEO be in 2013?